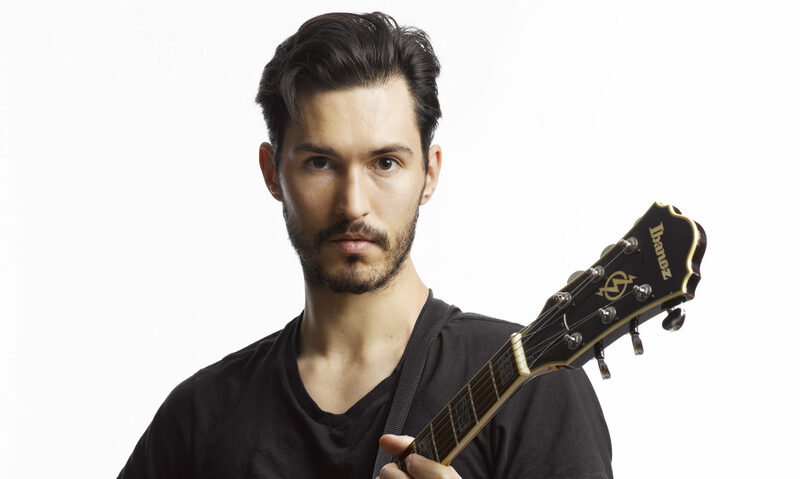 2nd prize winner of the 2017 Jarek Smietana International Jazz Guitar Competition and recipient of the Sergiu Tuhutiu and Alicja Smietana Special Prize, Sean Clapis is a guitarist, composer, educator and bandleader originally from Hartford Connecticut. Being a native of Hartford holds a special meaning for the musicians who call it their native soil. Sean was able to draw upon the wisdom of major jazz figures like Jackie McLean, Paul Brown and Jimmy Greene as his mentors from early on in his development. At the age of sixteen, he made his international debut performing at the “National Festival da Juventude” on the African island nation of Cape Verde. After discovering jazz at the Artists Collective and Greater Hartford Academy of the Arts, and upon receiving a generous scholarship from the Hartford Jazz Society, Sean went on to study at the Hartt School of Music under notable masters Andy LaVerne and Rene McLean. Since moving to New York City in 2011, Sean has shared the stage with an array of musical projects across the US and abroad ranging from jazz to rock, folk, hip-hop and experimental music. He has made a name for himself as a top level guitarist on the New York jazz scene performing at venues such as Fat Cat, Smalls, Joe’s Pub, Club Bonafide, Hartford International Jazz Festival, Silk City Arts Festival, Crested Butte Music Festival, The Millennium Theatre, Rockwood Music Hall, Shapeshifter Lab as well as internationally in Mexico, Italy, Japan, Kuwait, Spain and Poland. Sean has appeared on stage with Allan Palmer, Steve Davis, Nat Reeves, Jaimoe of the Allman Bros., Noah Baerman, Josh Evans and has opened for Soulive, Buena Vista Social Club, Peter Bernstein, Mike Stern and Hank Jones, to name a few. Upon his warmly received sophomore release “The Unseen River” (RMI), Clapis was able to hone a first-rate quartet. The album demonstrates his strengths as a bandleader and composer while balancing creativity and craftsmanship.